Mayor of Worcester, Councillor Steve MacKay and his wife Alison were guests of KTG at the Members Evening for Aladdin in January. They thoroughly enjoyed the panto and were thrilled to meet the cast and members afterwards. Steve and Alison mentioned to our Joint President, Chris, that as part of his mayoral theme for his term of office, he would like to highlight the work of the many volunteers in the City. He was interested to learn all about the Group and, in recognition of the pleasure of panto and the money the Group raises for local charities, Steve issued an invitation to Group members to join him and Alison for tea in the Mayor’s Parlour and learn about the office of Mayor and the history of Guildhall. Of course, we were delighted to accept and on Saturday 24 March, a good number of members and friends enjoyed hospitality and wonderful cake baked by Alison. 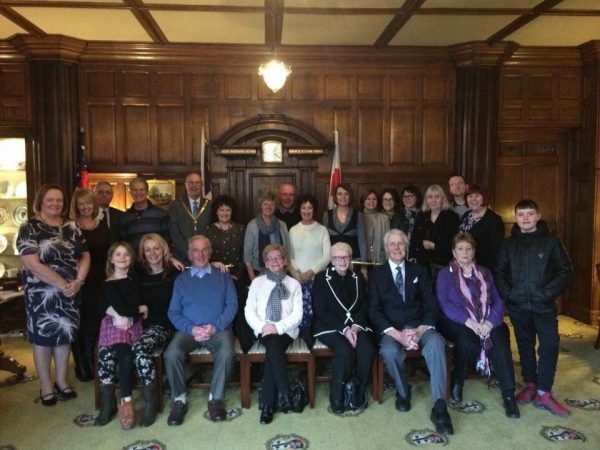 Thank you Mr Mayor and your lovely lady for a wonderful afternoon!